(MENAFN - The Conversation) Flu vaccines work by exposing the body to a component of the virus so it can 'practise' fighting it off, without risking infection. The immune system can then mount a more rapid and effective response when faced with a 'real' virus. an 'adjuvanted' vaccine ( Fluad ) that contains the standard dose of three strains of influenza, along with MF59, an immune stimulant designed to encourage a stronger immune response to the vaccine. 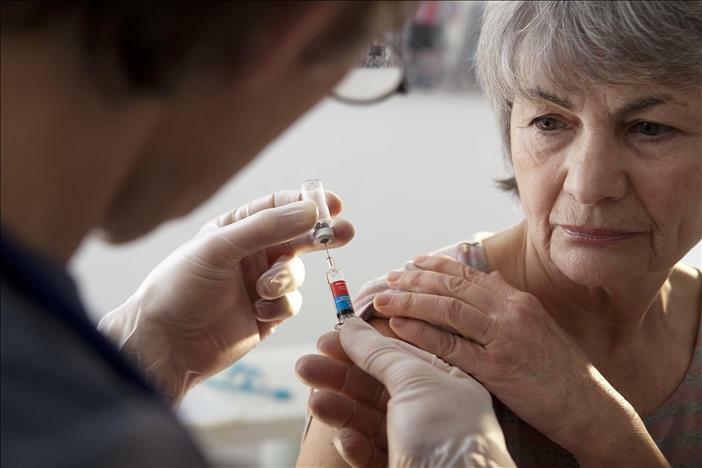 This year, the Australian government is offering the adjuvanted vaccine for free for over-65s. The standard vaccine is available for free for some groups under 65 under national and state programs . The high-dose vaccine will only be available to buy through pharmacies and general practices on prescription. Although clinical trials are generally regarded as the gold standard when testing vaccines, it's also important to consider data from other studies, where different flu strains circulate and where the vaccine may be used in groups that were excluded from clinical trials. Despite a lack of clinical trial data, several observational studies have found getting the adjuvanated vaccine means you're less likely to be hospitalised with influenza than if you receive the standard vaccine. Immunisation expert groups in Australia , the United States , Canada and the United Kingdom have not recommended either enhanced vaccine over the other. There are some specific groups of people for whom two doses may be recommended, including young children receiving the vaccine for the first time, and some people with bone marrow or organ transplants. Seek advice from your doctor if this describes you or your children's situation. It's important to note that none of the standard or enhanced flu vaccines are completely protective; they reduce, but don't completely eliminate, the risk of getting influenza.